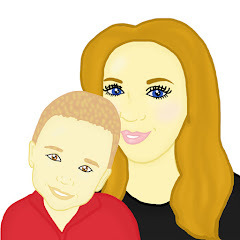 Maxwell will soon be starting playschool and I wanted to make his experience there go as smoothly as possible. When I was at school mistakes over what belonged to who were made. Not only that but when things went missing other children would claim it as theirs. However recently I stumbled across a great company called The Little Giants, who are a great company that sell personalised products. When looking on The Little Giants Website I was amazed at all the great products they sell from jigsaws to bibs to birthday cards there is something for everyone. The Little Giants has become a company that greatly appeals to all families. When I recently had a chance to pick something to review from The Little Giants I was ecstatic, there was lots to choose from but in the end I choose a lunchbox to review. 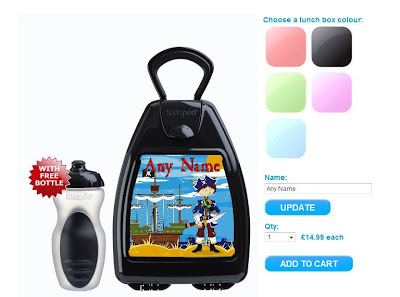 I was told I needed to pick the colour of the lunchbox and a theme and also asked what name I wanted written on it. The great thing about these lunchboxes is you are really able to create something unique. I first started off the theme of the lunchbox. The Little Giant's have some great ideas from Princess Poppy to Jeremy the Giraffe to Pirate Sam and lots of other characters there is a theme for all children. 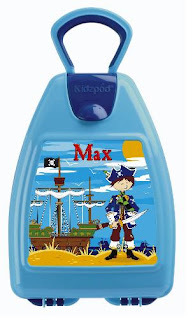 I picked Pirate Sam as since Maxwell was small I have always dressed him up as a pirate, we also have a family yacht so the lunchbox reminded me of our time on the high seas. Next up we has to pick the colour - I picked blue as I believed this would look good with the theme I had chosen and it is a "boyish" colour that would suit Maxwell. Finally we decided what name we wanted to use. Maxwell is known to us by lots of nicknames however I chose to have the simple name "Max" on the lunchbox. The delivery was very quick for our lunchbox and we received excellent customer service by The Little Giants who kept in contact with us through out the whole process. When we received the lunchbox, it was packed well and upon opening I could not believe the quality. It was made very well and I could tell that the plastic material it is made out of is very strong and durable. It is also anti bacterial protected which reduces the levels of surface bacteria by up to 99.9% over a 24 hour period. The lunch box itself is a triangle shape and quite shallow. The lid of the lunch box is very clever and comes with instructions that show you how to open the lunchbox. I believe a small child would easily be able to open the lunchbox and although the product is recommended for a child no younger than 3 I think Maxwell would be able to use it at a younger age. I was slightly worried that the picture on the outside of the lunchbox would be easy to remove especially when washing the lunchbox however it is locked behind a piece of plastic, which means that the lunchbox can be washed in the dishwasher. The lunchbox also came with a free water bottle which I though was great, although Maxwell is to young to use this at the present moment, I'm sure he would be able to next summer. 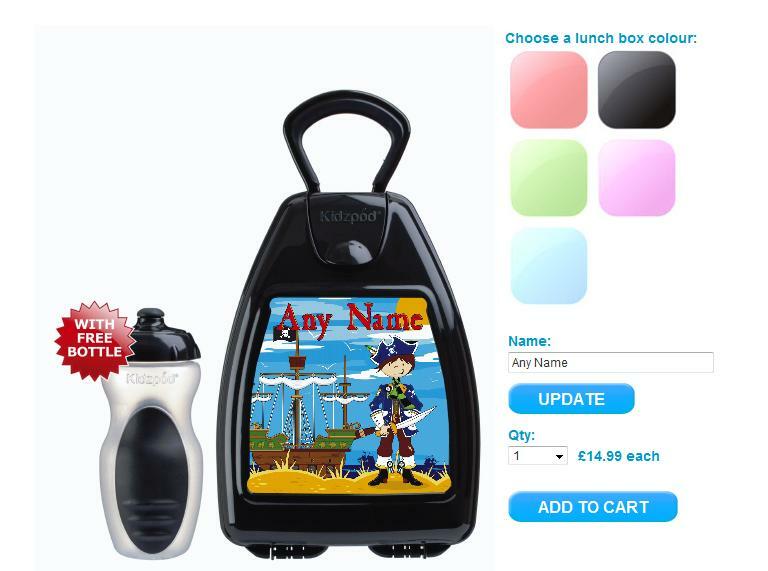 The lunchboxes would make the perfect gift for a child for any occasion, and would be brilliant not to only use whilst at school but also on days out. It is priced at a brilliant £14.99 which I personally think is a great price for such a well designed product that your child can grow with and get a lot of use out of it. You are able to follow The Little Giants over on Facebook or Twitter.